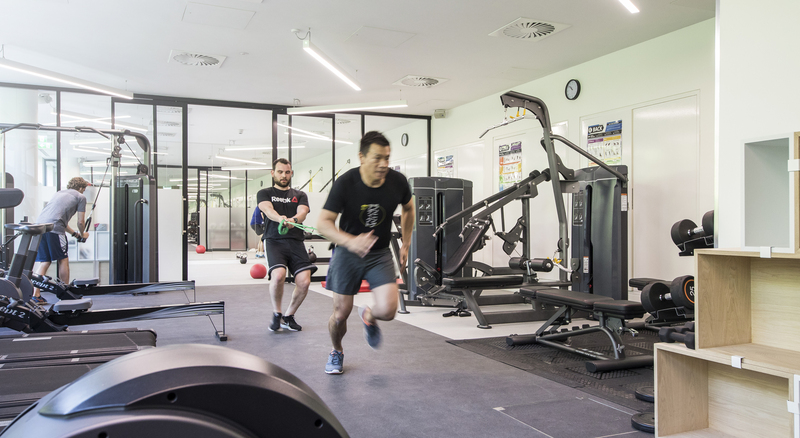 Lake Fitness @ No.10, our brand new on-site gym facility is now open with an exercise studio and state of the art fitness suite offering some of the latest fitness equipment. Membership to Lake Fitness @ No10 is just £25 per month payable through Direct Debit, giving you access to the open gym plus unlimited classes. Gym equipment including treadmills, bicycles, step machines and cross trainers with 18.5” android HD ready touch screen consoles ensuring the very best entertainment and most engaging workout modes are possible. Plus concept II rowers, resistance machines, free weights and stretch area. Cross platform smart phone technology – connect your own device & enjoy your own music or videos. Lake Fitness @ No10 is exclusively for staff who work within building numbers 1210-1240; 1310-1330; 1410-1430 and 1650. A cardio based, high intensity combination workout, using a level of different formats including weights and body weight. The focus is maximal workout, minimal rest. Resistance work using a combination of weights, or body weight to work on a pyramid basis of repetitions, allowing the individual to work to their own intensity whether that’s high power or on a lower level. A method used to build strength, flexibility and lean muscle tone with an emphasis on elongating the body and aligning the spine. Strengthens the trunk supporting the body, and assist in rehabilitation for lower back problems. The class can be taught at a lower intensity (Pilates) or higher intensity (power Pilates) but both in a controlled manner. Elevate the metabolism and get those calories down even at rest. A form of circuit style “all over body” exercises performed through the use of free weights and body weight baring techniques. Targets the key areas of the body we tend to ignore through regular daily activities, reaching muscles to help improve muscle flexibility and strength, as well as Core stability… using mainly body weight, resistance bands and medicine balls. A high intensity class involving short bursts of cardio choreographed martial arts inspired workout followed by core and body weight circuits. Designed to get your heart rate up, burn fat fast, as well as toning all major and minor muscle groups. A low impact, high energy workout that incorporates boxing with functional conditioning. The class is designed to release and relieve stress, and burn that unwanted fat. A form of interval training, and cardio fitness performed by alternating short periods of intense anaerobic exercise with less intense recovery periods, involving short bursts or high intensity followed by a brief low intensity activity, repeatedly. Focus on elongation of muscles and limbs, moving the body through different forms of stretch to reduce muscles tension, stiffness and stress. Encouraging the body to open up as far or as past the usual limit to encourage more mobility and flexibility.